well damn man get on it. break some records before you get out! Roofy - 307.7 horsepower 316.5 torque. Dynojet dyno. 16 psi. Ecotec. Do I fit in??? maybe take a peek at the list and you can figure that out?? Haha yeah, just making sure. Hope to be up around #5 or #6 come spring time! i was hoping for 7500 with those w41s. yeah not sure what the deal is with that, i thought id make more power longer as well. ive noticed power is low with the W41 cams in my 2.4 as well, getting close to 7k and i can feel the power dying. it may have something to do with stroke difference between our 2.4 and the quad these cams came in. idk, too many things play a role in the powerband. yeah definitely weird. i found it odd that scott's setup responded so well to them after what (no offense) little power ur car seemed to put out. and after what karo's engine did with them my faith in w41 cams was drastically reduced. scott- you should pick up one of mcmonie's cam gear setups, i bet you would benefit a TON with those babies. yeah who knows, w41's migt just need the cam gears but sadly, i dont wanna spend the time/$ to deal with it. well looky there. it's a sticky. awesome. thanks a lot dave. wow... and ur still running the HO intake manifold. i didnt even realize. what TB? do you even have a turbo header? *EDIT* wow... so you and brandon have the same turbo? .82 gt35 yes? yet you have a measly 62mm tb and ho intake mani. pretty much everything else is the same except for the cams. 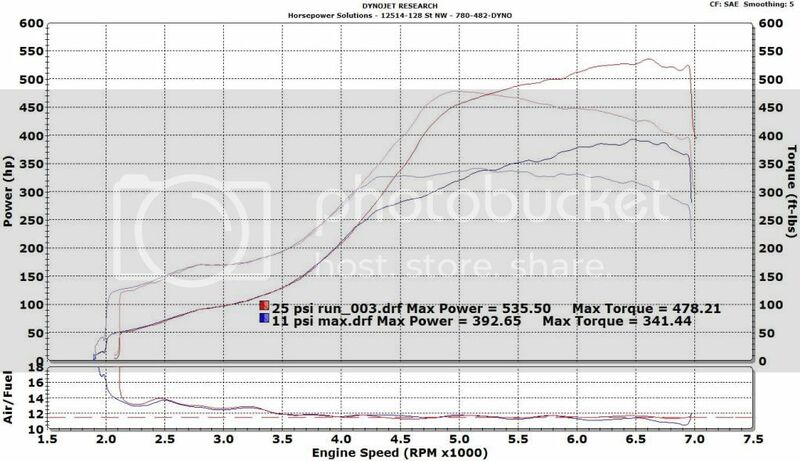 id be willing to bet you put a big boy intake mani with 80mm tb on there and re tune for race gas and you're just south of 600whp. 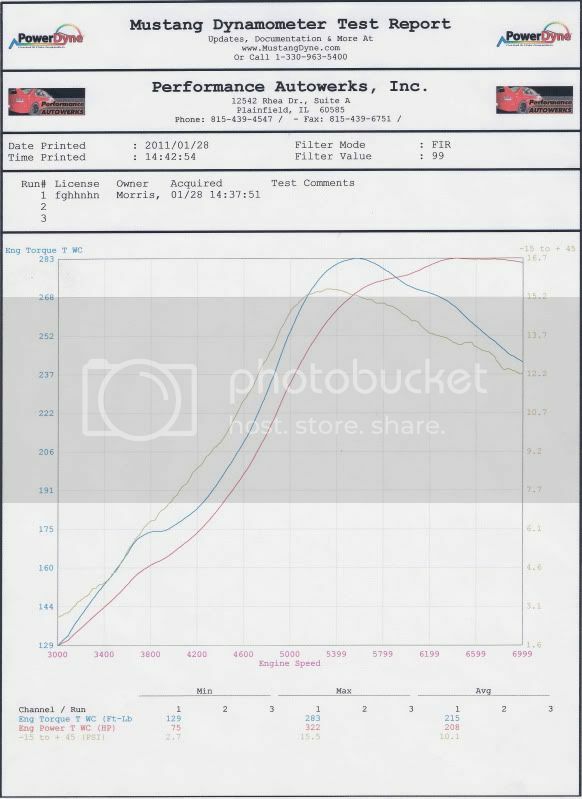 I went to EFI Alchemy shop Sat and ran on the Dyno and came back with this Dyno Chart . impressive numbers on a stock eco!! damn i really should have updated mine. cant find my effin print out..ugh. Let's keep this thread ON TOPIC rather than let some tool get it off track. * Just wondering if this is gonna be condensed like the 1/4 mile time thread??? I LOVE the setup on that thread.